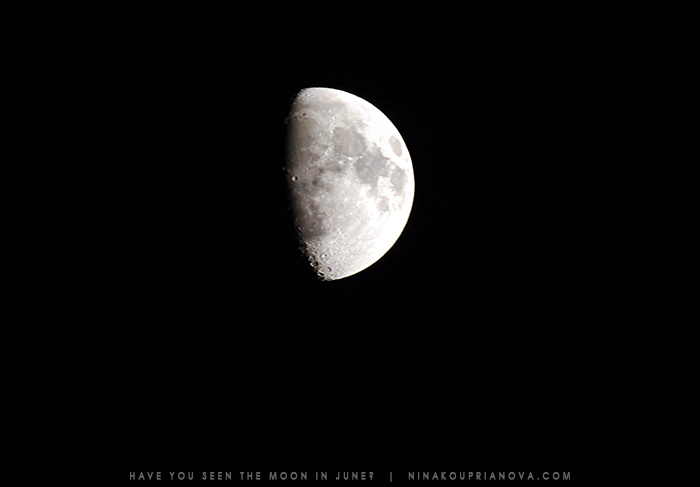 Have You Seen the Moon in June? Late sunset over spiked evergreen silhouettes on the mountain was not as striking as certain jaw-dropping exemplars one gets to witness in the greater Pacific Northwest, but the wispy clouds and soft breeze on the balcony made my late-evening Russian-English translation a relaxing-enough experience. Or, should I say, disappeared. The moon lay hidden beneath a cloud as the latter moved continually, forming anthropomorphic and fantastical patterns.